Patent Monitoring importance is not a hidden aspect these days. 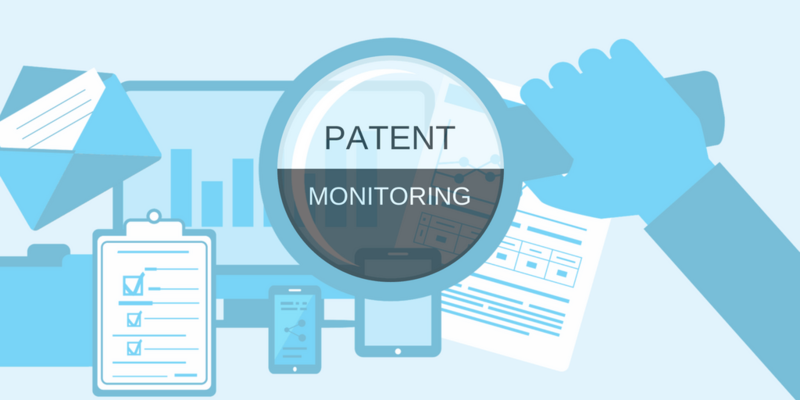 Patent Monitoring has become a global need for recognized brand owners since new technologies are emerging out for market recognition, every single second. New competitors are taking away the credits from the older ones, every single day. We are living in a world where we even get updates on a daily basis for our smartphones. So, it is critical in the intellectual property field to patent their invention before anyone else gets the idea of it. However, this is not all; patenting is not the only task one is required to perform. It is equally important to keep an eye on every move of the competitor or to perform patent monitoring on the leading company in that technological subject matter. Prediction of market strategy: A very basic prospect of performing patent monitoring search is to understand about the competitor’s market strategy and what is their crucial function or service through which they are leading in any specific technical area. It will help analyze your structure and strategy which can be improved and build up to that level to get the similar success. Knowing about every move of your competitor can prove helpful to you in all possible ways. You can learn from them about their positives, compare your work, and inculcate those benefits in the areas where they are lagging to grow your name. Identification of infringing technology: Patent monitoring services will help you to check whether your work is infringing someone else’s work. It will benefit in securing the extra amount of money you will need to pay, once caught in an infringement case. Through this knowledge, you might take your invention to another dimension of what you thought it would be, knowing the fact that your first idea might cause infringement and you have to modify it in a manner so as to protect it from infringement. Identification of growth-feasible sectors: It’s better to know about your competitor’s strong areas of growth, and this might help you to choose your growth possible area. It will help to develop new technology which is still yet to be discovered, instead of enhancing that common area. Choosing a new area will benefit a startup more than any established business, since it will be easier to get recognized in a new field and create a good name in front of customers, than the older ones. Determination of new areas of investment: Knowing the fact that your competitor is holding firm ground for specific technology and it is relatively difficult to create the same market in your favor; you need to target for the new technology-based area where investing is less prone to turning into a massive loss. By this, we only mean that knowing the right field to invest a huge and important task. If care is not taken before making up your mind to spend in a particular area, then it might lead you to a total loss of your business idea and lousy impact for your brand name in front of the customers. Identification of weak points in leading corporates: Learning about your competitor’s weak points will benefit you in all your prospects. Since holding knowledge about their wrong turns, will open up potential areas for your growth in which you can excel while making them your strong aspects. As a plus point, you can easily predict their action plans and methodologies for future growth. Keeping them as a golden opportunity, you can create your name at their lagging grounds. After having a detailed analysis of patent monitoring importance, it is a must to hire an IP advisor to set up a watch that could analyze the competitor’s move through all leading databases, online websites, and journals. Continuous monitoring and assessment of competitors’ intellectual property activities are the most important strategic business tools. Providing watch reports will help monitor competitor’s activity, thus making you aware of the market requirements. We, at The Patent Search Firm, serve our corporate clients with a range of services, such as patentability search, invalidity search, freedom to operate, patent landscapes, design patent search, assignee searches, biological sequence searches, etc., from the USPTO guidelines. We serve our clients from more than 45 nations, promising timely delivery with the best in class quality services at the lowest rates available. To know more about our services or to continue reading more insights on patent watching, please visit our service page. This entry was posted in Blog and tagged assignee searches, benefits of patent monitoring, biological sequence searches, design patent search, Freedom to Operate, importance of patent monitoring, Intellectual Property, Invalidity Search, invention, patent landscapes, patent monitoring importance, Patent monitoring services, Patent Watch Company, patentability search, USPTO. Bookmark the permalink.